On the move the 208 demonstrates that Peugeot has refound the art of suspension which provides a very good balance of handling and comfort. It isn’t as sharp as the class leading Fiesta but it is better to drive than the remainder of the pack whilst also offering a comfortable ride making it a great all rounder. 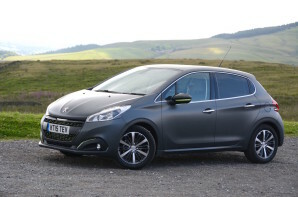 The 208 delivers style, comfort and an engaging driver experience. As ever a test drive is essential to make sure that you can see the instruments!